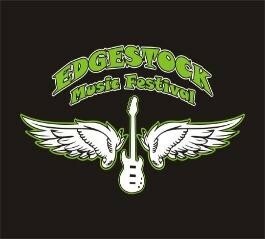 Description: Edgestock Music Festival is an outdoor event that brings local bands from the Baltimore/Washington Area to Ft. Howard Park to help raise funds for youth and adult programs in Baltimore County. Edgestock was originally conceived by Kirk Baumgart, a local business man and musician, wanted to help the community but also bring in great talent into the Baltimore area communicated this concept to Dave Darr, past President of Edgemere Sparrows Point Recreation Council. The idea, that became reality in December, 2006 with the help of their family and close friends, Edgestock Music Festival became a reality. The first annual Edgestock was held June 17, 2006 featuring the bands; Beach Bumz, Rob Fahey and the Pieces, Rob Byer, Beatlemania Returns( from Disney World in Orlando) and Never Never. Ft.. Howard Park was filled with approximately 250 people from around the state who enjoyed not only the music, but other activities within the park. Edgestock Music Festival is a benefit concert sponsored by the Edgemere-Sparrows Point Rec Council to raise money for recreation programs. Edgemere Sparrows Point (ESP) Recreation Council is an organization of local volunteers who operate in cooperation with the Baltimore County Department of Recreation and Parks to provide recreation opportunities in the area Edgemere, Sparrows Point, Millers Island and Fort Howard areas. ALL proceeds benefit the ESP Field-Fund!